The world will always need makers and doers: those who fix, improve and innovate. Tools such as 3D printers make it easier than ever for creative people to bring their creations to life, but those resources are often not available to young and disadvantaged people. Happily, we have recently seen a number of initiatives such as Hatch, which give communities access to cutting edge equipment. 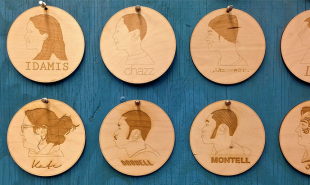 In Philadelphia, the Building Hero Project is doing the same, and rather than operating as a non-profit community project, the scheme has found a way to finance itself — by selling a range of self-made products on Etsy. The Building Hero Project is a scheme run by The Department of Making and Doing — a community maker-space. It enables young adults, who have previously participated in one of the organization’s community improvement projects, to learn design and maker skills using the workshop’s extensive tools and equipment. 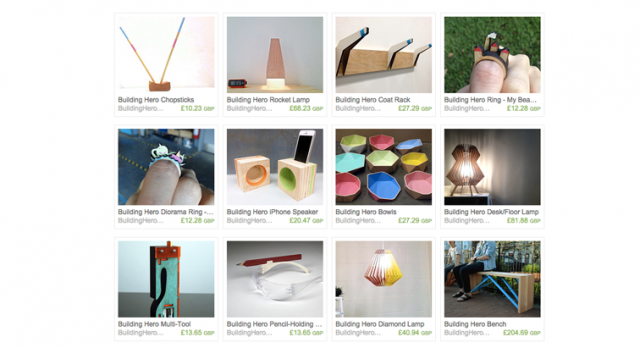 The Building Hero Project launched an Etsy shop at the end of last year to help self-finance the scheme. The shop sells innovative, beautiful products designed and produced by the students themselves. The money earned from sales of these items — including lamps, jewellery, benches and more — enables the participants to get paid up to USD 14 an hour to learn and teach each other skills. The students can then use their experience to run further community improvement projects in their local areas. The members run the Etsy store themselves, helping them to learn business and entrepreneurial skills as well. Could a similar scheme work in other cities?